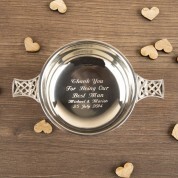 If you are looking for an extra special thank you gift for your best man then this quaich would fit the bill perfectly. 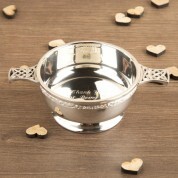 This quaich is a traditional gift given to best men on the wedding day (particularly in Scotland). 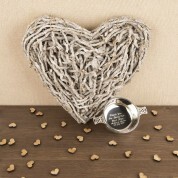 It can be used as a drinking bowl or cup but is mostly kept as a keepsake and displayed in the home. 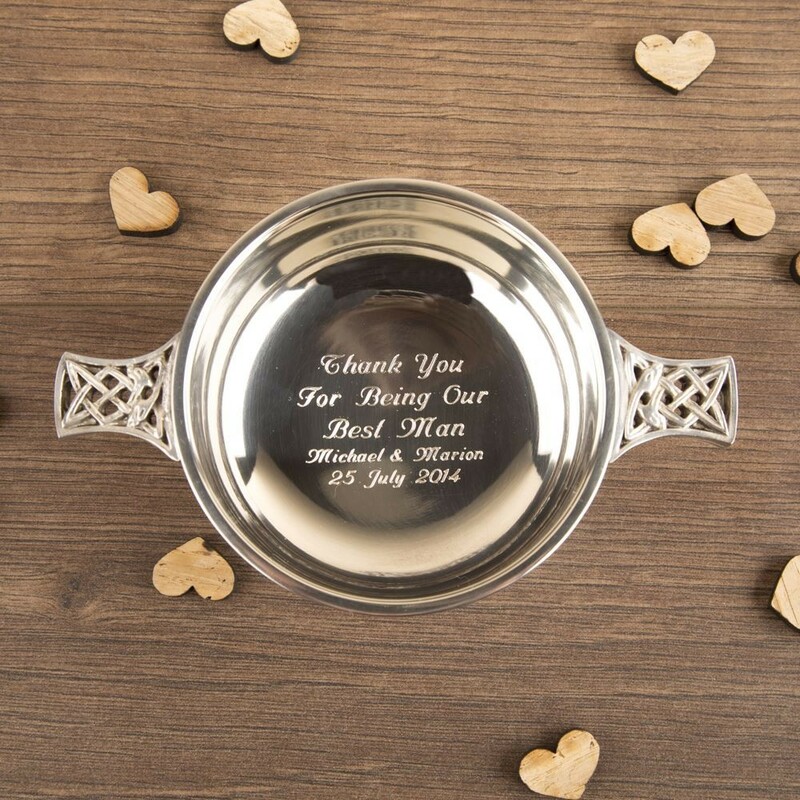 It would look lovely displayed on your side board or in a glass cabinet and will act as a constant reminder of the important part he played in his best friend's wedding. 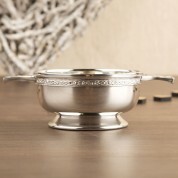 Material: Pewter with celtic band. Dimensions: Approx 3.5” in diameter.